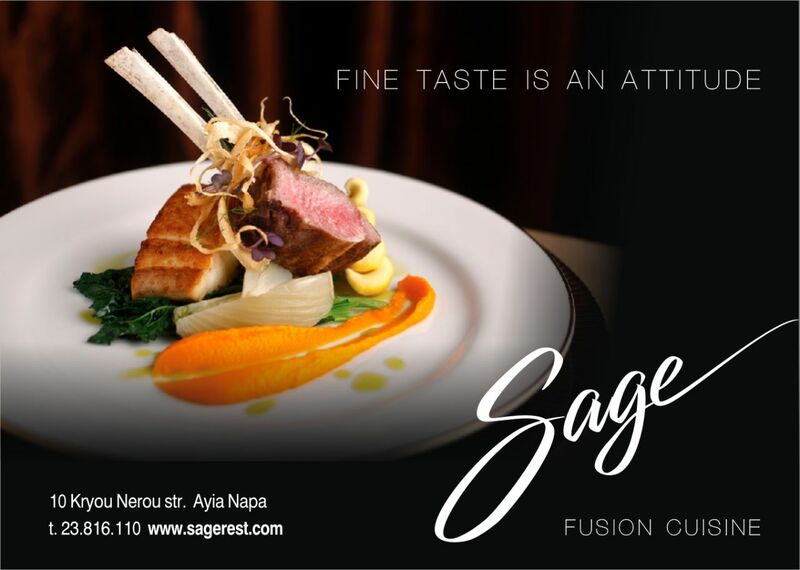 Positioned in the heart of Ayia Napa’s bustling tourist centre, Sage is a culinary gem for the region’s fine dining, and has steadily carved a reputation as one of the most exclusive restaurants on the southeast coast of Cyprus. Discerning diners will find a menu of enticing gastronomic delights, and attentive and discrete service… all to be savoured within our completely renovated and stunningly unique interior, or under the stars on the elegant terrace. And with Sage consistently ranking highly on several trusted review sites, you will soon discover why we believe that ‘fine taste is an attitude’. you feel warm and welcome.